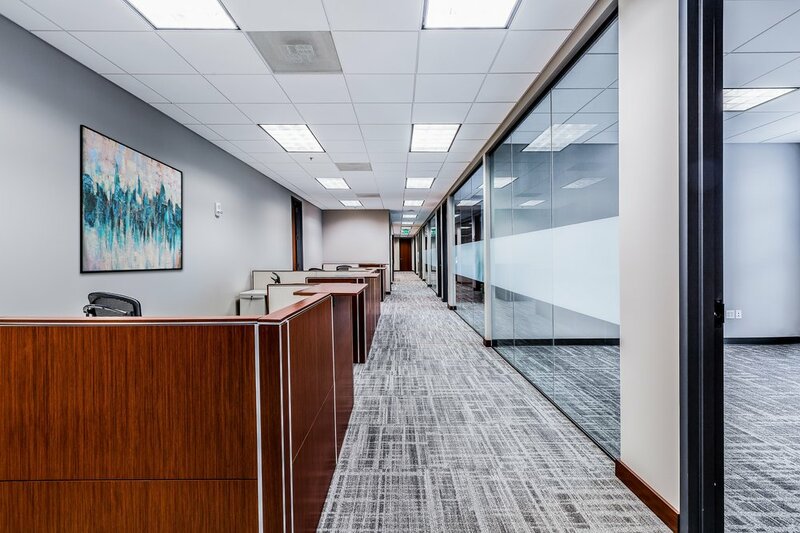 Located on the third floor of the prominent First Citizen's Building on Main Street, SEED Architecture worked closely with Raymond James, a diversified financial services firm, to create their new Columbia office. The full glass entry and large conference room wall create a welcoming first impression for clients and highlight the courtyard views below. The space includes custom woodwork and reception desk and glass partitions to allow natural light into the interior spaces.